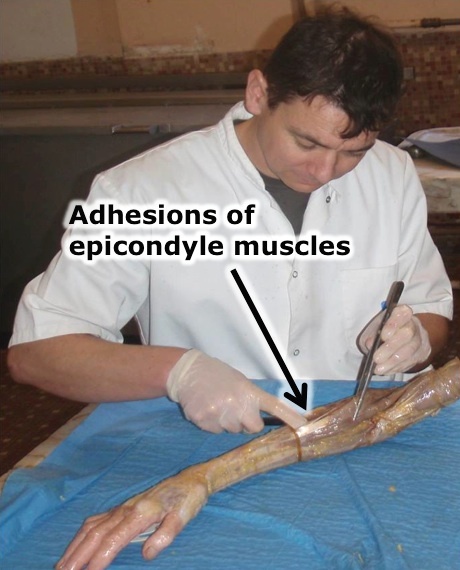 In our experience, chronic epicondylitis can heal quickly if it is treated as a dysfunction of the lateral muscular group of the forearm caused by adhesions between the fasciae. 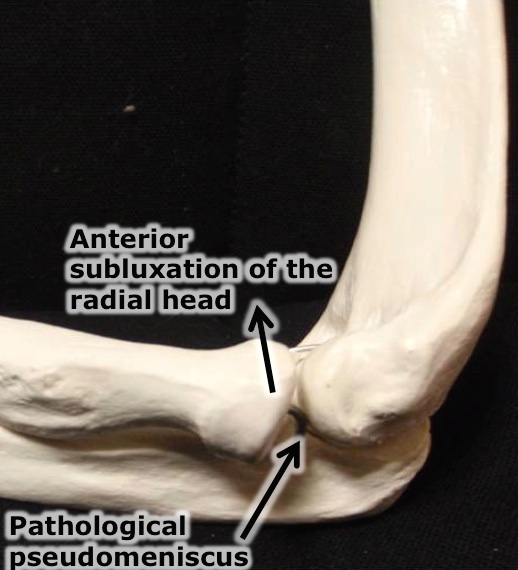 This can be associated with a lateral adhesion of the triceps on the epicondyle and the supra-condylar ridge, a pathological pseudo-meniscus of the lateral humerus-ulnar interface and an anterior subluxation of the radial head. 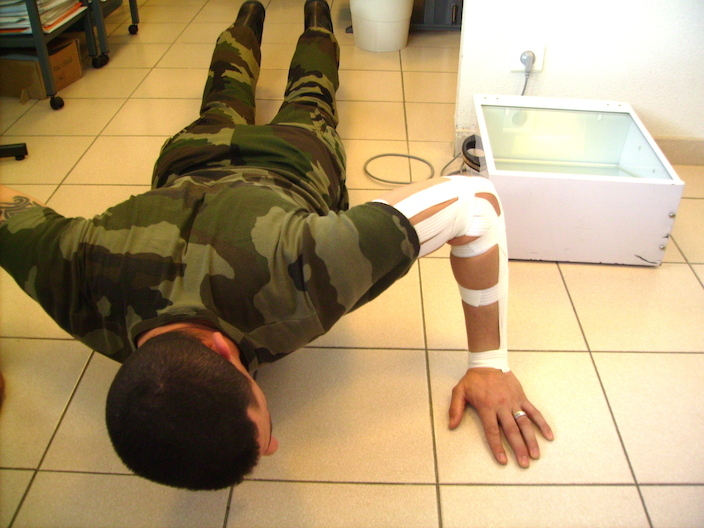 Our ongoing study, which started in 2006, included 13 soldiers over 35 years of age, who had been suffering from epicondylitis for an average of 4 months. All the patients were treated with adhesiolysis until the restoration of proper kinetics of the intermuscular fasciae. 11 patients recovered in less than 3 weeks, including 6 in less than 7 days. 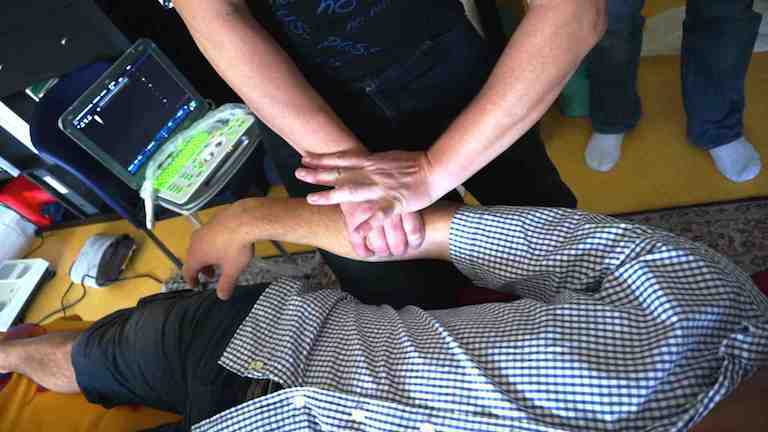 Dynamic ultrasound studies of the Bracho-radial (BR) movements of the superficial epicondylian muscles: the Long and Short carpal radial extensors (LCRE, SCRE) and the deep epicondylian layer: Supinator. to release a humero-radial synovial trapping. 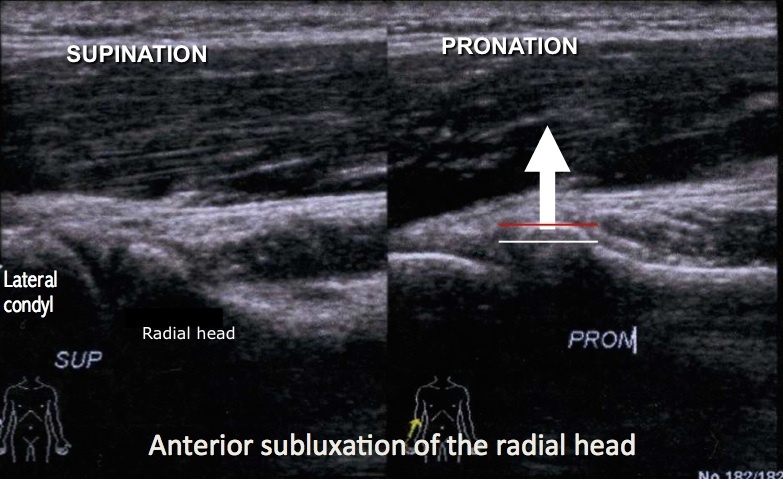 Of adhesions, a subluxation of the radial head, or capsular trapping. 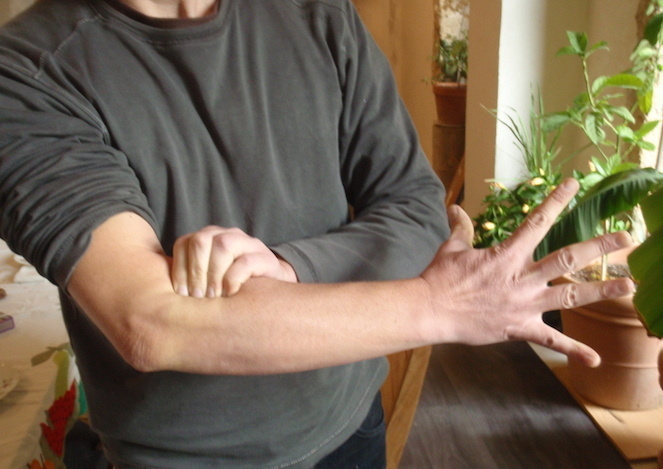 To laterally refocus the lateral muscle group of the elbow in order to progressively resume activities. N.B. : Now I do not tape any more, contenting myself with the forarm bracelet “not aggressive” tight in the good sense (an arm bracelet, tightened in opposite direction is sometimes useful). We have recently found micro-crystals that explained some failures: I treat them with a sort of palpated-rolled-traction. It is as if we wanted to move these thorns away from the tendons and dissolve them.